The application to the Utah Permanent Community Impact Fund Board (CIB) for $53 million by four rural counties (Carbon, Emery, Sanpete, and Sevier) to buy a stake in a bulk export terminal (for shipment of coal and other commodities) in Oakland, California, reflects economic desperation compounded by naiveté and corporate manipulation. At the same time, the initial granting of the loan by the CIB members is an example of insufficient information leading to speculative decisions, made worse by cronyism. The desperation is a result of rural politicians seeing only the immediate economic gains that might be achieved by sustaining a declining industry. The naiveté arises from doing the bidding of outside and self-serving corporate interests. Speculation drove the county applicants to apply for the loan, but the CIB members themselves readily went along without conducting a thorough review of the plan. Coal was the commodity, but much of the speculation revolved around pretty scenarios painted for local authorities by corporate powers. This paper describes what is known or can be implied from public documents about the processes that led to granting of the $53 million loan by the CIB. It concludes with some observations about the CIB as a public body and the limitations of its work. The story begins decades ago when sections of rural Utah's economies relied heavily on extraction industries, in this case coal. The more immediate beginning is in 2013 when a Kentucky-based coal company, Bowie Resource Partners, purchased three coal mines in Utah and the Utah leases of another coal company. Sufco was one of those mines, located in Sevier County, Utah, 30 miles east of Salina. Bowie is one of the largest coal mining companies in the U.S. Like other coal mining companies it has been feeling the pinch of declining coal sales in the U.S., in response to power companies switching to less expensive natural gas and regulatory controls on the burning of coal. Bowie shipped most of its coal via truck to a rail terminal in Levan, Utah, or by truck to Utah power plants. At the Levan rail siding, the coal was loaded onto rail cars, some of which traveled to a bulk coal terminal in Stockton, California, for subsequent international shipment. Up to 750 trucks a day traveled from the Salina mine to Levan. Some 1500 trucks (round trip) traveled through the town of Salina daily (1). The transport was expensive, adding to the cost of coal sales. For over a decade, Sevier County's Economic Development Director, Malcolm Nash, had been seeking environmental approvals for a rail line from the mine to Levan. He was supported in the effort by the Six County Association of Governments consisting of Sevier, Juab, Sanpete, Millard, Piute, and Wayne counties. The rail line (known as the Central Utah Railroad Project) would reduce truck traffic but even more it would reduce the costs of coal, thereby increasing Bowie's profits. Although the company had long-term contracts with U.S. buyers, Bowie looked to international markets, especially in Asia, for increased sales (2). The origin of the relationship between Malcolm Nash and Bowie executives is unclear, but they had a common interest in sustaining and expanding coal production in Sevier County. In an interview in April 2015, Nash said the permits for the rail line were nearly finalized. He is cited as saying, "When representatives of the CIB and Bowie found out about the possibility of a permitted rail project, it led them to discussion about the [Oakland] port..." (3). The rail line would be a useful transportation asset for Bowie. 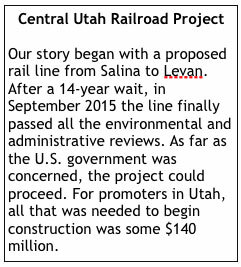 In October 2014, the Director of Utah's Transportation Commission, Jeff Holt, became involved in the discussions about the rail line (4). In November 2014, Holt wrote to Nash and described what needed to be done to make the case for investment in the railway (5). The following month Nash submitted an application to the CIB for $100,000 to be used to build the case for the rail line. Also in December, Holt sent Nash a draft contract for Holt's employer, the Bank of Montreal, to provide advisory services on the railway. 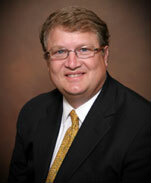 Jeff Holt played a central role in the Central Utah Railroad Project, the Oakland Bulk Terminal, and the CIB. He was director of the Utah Transportation Commission, and thus had extensive knowledge about counties' transportation issues. And, as a member of the CIB he had access to a potential source of seed capital for large transportation projects, as well as regular contact with other CIB members. Finally, he was (and remains as of early 2016) a Managing Director of the Public Finance Group at BMO Capital Markets Corporation, a branch of the Bank of Montreal. In other words, he is an investment banker with extensive political, corporate, and bureaucratic contacts across Utah and beyond (6). An example of Holt's role in arranging funding for projects comes from Huntsville in Weber County. The town wanted to increase its portion of water it shared with a neighboring faith community. The town needed money to build new infrastructure for acquiring the additional water. The Mayor, Jim Truett, reported during a town council meeting in January 2015 that CIB staff had told the town that it did not qualify for CIB funding because the county did not have industries that generated royalties for the state. However, the Mayor added, "Jeff Holt was busy behind the scenes talking with CIB board members trying to help the town." At the January 2015 CIB meeting, "the Mayor represented the Town and told the CIB board our story. "According to notes of the Huntsville Town Council meeting of January 8, 2015, "The CIB board loved the story. Everyone on the committee is a chairman of a county commission somewhere, as well as heads of areas of government, two water representatives, and a UDOT person." As a result of the love-fest, the CIB board voted unanimously to grant Huntsville's request for $606,000 (7). As the notes from the Huntsville town council meeting indicate and the minutes from the CIB meetings of January and February 2015 show, the CIB board was not adverse to advancing funding requests that staff had indicated were not permitted. Cronyism out-weighed legal niceties and appropriate review of applications. At some point in 2014, interest in a rail line for the coal mine in Sevier County overlapped with and was subsumed by interest in a proposal for shipment of coal to a bulk product terminal in Oakland, known as the Oakland Bulk and Oversize Terminal (OBOT). A former U.S. Army base was being converted to a terminal for deep-draft ships capable of carrying tens of thousands of tons of cargo. The terminal was to be developed by Phil Tagami, but required funding. We can assume that Jeff Holt became aware of the Oakland project through his position as director of the Utah Transportation Commission. A bulk terminal for coal exports would appeal to several companies and counties in Utah. By March 2015 county commissioners from Carbon, Emery, Sanpete, and Sevier counties had, at tax payer expense, traveled to Oakland for guided tours of the proposed terminal and port. Holt or a Bank of Montreal colleague organized the tours. We can also assume that prior to and during the tours a proposal was finalized for the four counties to apply to the CIB for $53 million--$50 million as an investment in the bulk terminal thereby which would buy a guarantee for priority for coal and other products from those Utah counties in shipping from the terminal. An additional $3 million was for Holt's investment employer for advisory services. CIB grants and loans are mandated to mitigate the impacts of mineral extraction on local municipalities and counties. The money usually is requested for road repairs, public service buildings improvements, water and sewage systems, and planning for similar local initiatives. Most grants and loans are for under $2 million; usually, a cap of $5 million exists on combined loan/grant applications on single public service projects. CIB loans of tens of millions of dollars are justified by applicants and the board members as necessary to increase mineral extraction through infrastructure projects. The improved infrastructure, it is often argued, will increase mineral output and thus add more money to the CIB coffers. For example, in putting forward its justification for a $55 million loan for a rail line in the Unita Basin, the applicants argued that "the large infrastructure projects that the Coalition plans to pursue will be revenue producing and will increase take-out capacity for extractive industries, which in turn, will increase mineral lease royalties return to the State and given to the CIB" (8). Thus, rather than directly benefiting community public-service needs, the large infrastructure loans would only potentially add revenue to the state and the CIB. There was no built-in guarantee that the infrastructure projects would increase production or sales of minerals or generate additional revenue to the state or CIB. This frequently used assumption was not subject to intensive study by the CIB to demonstrate that it was correct. Efforts to obtain a CIB loan for investment in the Oakland terminal were moving fast. According to County Commissioner Gary Mason of Sevier County, the four counties had only found out about the proposal for involvement in the bulk port in February 2015 (9). Four counties were involved: Carbon, Emery, Sanpete, and Sevier. They expected to form an association independent of the county structures as a way to protect county tax payers from potential losses. However, the CIB had to lend to local governments or combinations of local governments, not to private associations or companies. Holt kept pushing the counties to get their act together to formalize the association, but it did not occur prior to the CIB April 2015 meeting. He did send, however, a draft contract which county governments had to run through their legal authorities. Bowie Resource Partners and the four counties will agree to gain a parallel investment in the new Central Utah Railroad so that the railroad and terminal will be linked. 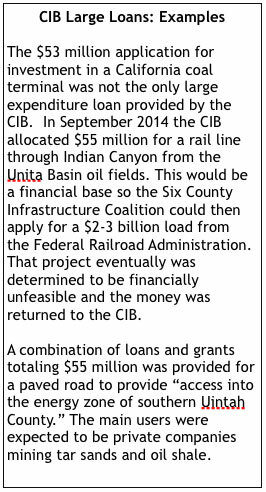 At its April 2nd, 2015 meeting, the CIB heard the four county request for a $53 million loan. Interestingly, Holt made the presentation, although county representatives sat at the table with him. Those representatives included: Commissioner Gary Mason of Sevier County; Commissioner Keith Brady of Emery County; and Commissioners Jake Mellor and Casey Hopes of Carbon County. The presentation emphasized the future value to Utah. It was stated that the project would be a public-private partnership (the public part being Utah taxpayer monies and City of Oakland ownership of the port). Questions from the CIB board members were primarily clarifications of the project; no skepticism or major concerns were raised. The presentation and questions and answers lasted nearly 90 minutes. The CIB board then approved moving ahead with the loan (11). The discussion at the CIB meeting gives the impression that representatives of the four counties and Holt had some background information about the project. However, it is unclear what level of detail and understanding of risks and other long-term outcomes county representatives and CIB board members had about the project. It appears that the promise of a 10 percent return on the counties' investment was a persuasive factor, but no financial analysis was presented. And early in 2015 it was widely known that coal demand in the U.S. was declining, but it was expected that demand from China, South Korea, India, Japan and other Asian countries would continue, if not increase. That latter assumption turned out to be wrong, and could be foreseen early in 2015. China's coal imports from the U.S. fell by 80% in 2014 from 2013 levels and fell further in 2015 (12). All of a sudden, U.S. coal exports were exposed to the boom-bust cycle that tends to follow most mineral commodities. The $50 million in Utah public funds was seen by the bulk terminal developer, Phil Tagami, as a critical sign to other potential investors that the project had a credible financial foundation. Tagami wanted the Utah money by June 2015 so he could work with other investors to secure the full $250-$275 million for the project. It is worth noting that Tagami is a long-time supporter, advisor and financial contributor to Governor Jerry Brown of California. Several commenters have noted that Brown's advocacy for climate change (including his participation at the 2015 Paris climate change summit) also should call for him to speak out on using the Oakland port for coal exports (13). As of early 2016 Brown had not issued a comment. Five days after the April 2nd CIB meeting, the Richfield Reaper reported the story (14). Sevier county economic development director, Malcolm Nash, is quoted as saying, "It's all about finding a new home for Utah's products and in our neighborhood, that means coal." Nash said that Governor Gary Herbert had verbally endorsed the project. Nash goes on to say, "The purchase of Sufco [coal mine] by Bowie [Resource Partners] is what's driving all this... "
The county commissioners were not pleased with the publicity generated by the Richfield newspaper story; some panicked. Jeff Holt fired off an email to commissioners on April 8th. He wrote: "Please discuss any comments to the press ahead of time with the rest of the team. If anything needs to be said, the script was to downplay coal, and discuss bulk products." His memo continued: "Phil Tagami [the bulk terminal construction contractor] had been pleased at the low profile was bumping along... on the terminal and it looked for a few days like it would just roll into production with no serious discussion." He ended the email: "Controlled message is critical" (15)." Two weeks later, as stories about the CIB loan appeared in the Salt Lake City newspapers, Holt wrote to Jae Potter of Carbon County, Claudia Jarret of Sanpete County, Keith Brady of Emery County, and Malcolm Nash of Sevier County. He argued: "this is a County Investment in the project and no one should speak for the Counties, but the Counties themselves, and to be consistent in the message..." Holt suggested that Potter be the counties' point of contact for all press and similar inquiries (16). At the end of April, county commissioners of the four counties received copies of the presentation script used at the CIB meeting. This would be a basis for their future public comments. What had started as an opportunity for expanding coal sales now turned into a public relations message of good-for-all economic project. Proponents of the financial investment in the bulk terminal emphasized how the project would benefit all of Utah and that numerous products, including hay and salt, could be exported through the terminal. But it was coal and the out-of-state investment of Utah money that received public attention. The Salt Lake Tribune and The Deseret News picked up on the story toward the end of April 2015. Journalists in the Oakland area, too, began to file stories about the project. Oakland political leaders and citizens' groups began questioning the shipment of coal through the city and the use of the bulk terminal for coal exports (17). In Oakland the surrounding communities of the San Francisco Bay area activists began organizing in May 2015 to oppose the shipment of coal through the proposed bulk terminal. During the summer months of 2015 environmental, public health, community, and faith-based groups built public opposition. Some 10,000 signatures were collected in opposition. When the Oakland City Council held a public meeting on the proposed terminal in September, hundreds of people signed up, most to speak against coal shipments through their communities. It will not be until the middle of 2016 that the Oakland City Council issues its opinion on the coal shipments through the city to the bulk terminal. It is awaiting a report on the environmental, safety, and health impacts of moving coal through Oakland (18). However, three council members did voice opposition in the wake of the public hearing. Promoters of the bulk terminal have not been quiet, either. They have organized some faith leaders to support the project and have offered some environmental groups a small portion of the terminals profits in return for their support for the project (19). In Utah, the CIB loan had been questioned by the State Treasurer who has a seat on the board as potentially illegal and beyond the scope of CIB authority. On October 22, 2015, at the behest of several clients, the law offices of Christina Sloan in Moab, Utah, sent a letter to the Utah Attorney General, Sean Reyes, asking for a review of the CIB decision to make the $53 million loan. That was followed on November 2, 2015, when environmental, public health, and citizens' organizations in Utah and California formally asked the Utah Attorney General to find that the CIB loan violated both federal and Utah law in making the loan. In the middle of December, it was reported in the press that the Attorney General likely would not issue an opinion on the legality of the loan. It was noted that the state legislature or courts were the appropriate bodies to address the issue (20). The CIB itself says the loan is under legal review and the findings of that review will be discussed at its May 2016 meeting. Also in December, Jeff Holt resigned from his position as director of the Utah Transportation Commission, citing his transfer by his employer the Bank of Montreal to New York. 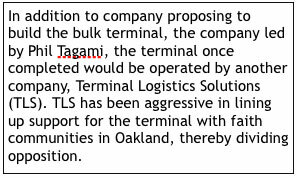 The Oakland City Council comes out in opposition to the coal bulk terminal and or coal trains running through the city and amends it agreement with Tagami's company, thereby blocking coal shipments from the bulk terminal. That may be sufficient to have supporters of the project back off, although Tagami insists the project will move forward. The four Utah counties that requested the loan may withdraw the request and return the money (which had not actually been transferred). Without Jeff Holt to guide the process, this may be a reasonable scenario. Or, the four counties may find that the changing market for coal makes the investment unfeasible. A legal ruling may find the CIB violated the law and its mandate in making the loan, thereby making the loan invalid. The CIB board may reconsider its original decision and vote to cancel the loan. Bowie's investment partners may withdraw their investments, leaving Bowie without the capital to guarantee coal deliveries to the Oakland port. The CIB prefers to keep its decisions, especially for large loans, quiet. The agendas do not include a place for public comments. Minutes of meetings are superficial, including only the statement for a request and the board decision. An audio recording is available online, but lacks instructions at what point in the three-plus hour recording to hear specific agenda item discussions. It appears that the CIB board receives little background information on large projects or it receives that information outside of the formal meetings. Thus, decisions may be made on the basis of vague statements or expectations. Especially for those large projects seeking funding in the tens of millions of dollars, the board appears to prefer to trust the applicants rather than dig into financial feasibility, impacts, and other issues. The CIB is a relatively closed society. Members know one another, know town and county officials. Those inter-personal relations can be a basis for trust and collaboration. In the case of the $53 million loan for the Oakland bulk terminal, that trust and sense of collaboration were manipulated by sophisticated international corporate interests for their own self-interest. Rural municipalities and counties often are hard-pressed for adequate funding to sustain their basic infrastructure. Where coal has been a major employer and contributor to the local tax base, a view that sees lay-offs, mine closings or sales, and declining royalties can be frightening to small jurisdictions. The Oakland project seemed to open an opportunity for the four sponsoring counties to forestall economic change by keeping coal moving. The investment bankers and the project developers played on these vulnerabilities, promising easily obtained seed money (the CIB loan), jobs, and a 10 percent return on the loan acquired by the four counties. The absence of legal review by state authorities,whether in the executive office or the legislature,is strange. Reasonable queries from Utah organizations about the legality of the CIB loan have been, at least up to February 2016, ignored. Queries to the CIB staff about any internal legal review of the loan were not answered. It seems clear that the desire to minimize public awareness of the loan now carries over into some of the highest levels of state government. Finally, the reliance by many rural Utah counties on extraction industries is no longer a viable form of economic development. Many of those industries go through boom-and-bust cycles that leave rural communities vulnerable to wild swings in available employment and financing. Also, most of those industries are in serious decline; their products are less in demand than in decades past. CIB lending for infrastructure projects may prolong declining industries, but also perpetuates speculation by local governments on continued reliance on those industries. As a state agency, the CIB has not taken the initiative to assist local governments to make the transition to infrastructure for newer economic activities. In this regard, the CIB is simply following the decisions of Utah's state government and both are negligent of rural needs and interests. Two decisions will be made in the middle of 2016 which will determine, in part, whether the CIB will actually put up the $53 million to the four counties for investment in the bulk terminal in Oakland. The first decision will occur as a result of the legal review of the loan; at its May 2016 meeting the CIB will hear about the legality of the loan. Toward that end, the four counties may find that they do not have a legitimate basis for accepting the loan. The other decision will probably occur in June 2016 when the Oakland City Council considers whether to change the conditions of its agreement for the development of the bulk terminal. If the City Council determines that coal shipments through the city and from the port raises too many safety, health, and environmental issues, it may invoke its right to alter the contract to exclude coal exports at the bulk terminal. This paper will be updated as new information becomes available, especially as a result of these two decisions. 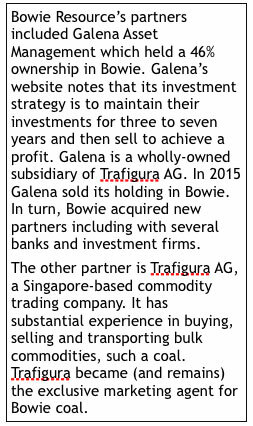 (2) Bowie Resource Partners, Securities and Exchange Commission filing, June 19, 2015. (4) Malcolm Nash to Jeff Holt, email dated October 22, 2014. Accessed through GRAMA request. (5) Jeff Holt to Malcolm Nash, email dated November 21, 2014. Access through GRMA request. (6) The role of international banks and investments companies in this whole process is effective described in a series of articles by Darwin BondGraham writing for the East Bay Express newspaper. See his articles of August 19, 2015 and October 7, 2015. (8) Six County Infrastructure Coalition Talking Points, CIB meeting of September 3, 2014. CIB Meeting 03 Sept., 2014 minutes. (10) Jeff Holt email, March 25, 2015. Obtained by GRAMA request by David Abell of the Sierra Club Environmental Law Program. (12) U.S. Energy Information Agency, Quarterly Coal Report, January 26, 2016. (15) Jeff Holt email to Keith Brady, Malcolm Nash, Gary Mason, Gordon Topham, Garth Tooter Ogden, Jae Potter, Casey Hopes, James Burr, etc. April 8, 2015. Names of several recipients were redacted in the GRAMA-request document. (16) Jeff Holt email, April 24, 2015. Obtained by GRAMA request. County Coalition to use Community Impact funds to Deliver Coal to Oakland Port. Far Country. The Eastern Utah County Coalition for the Development of Oil and Gas Infrastructure. Far Country. Citizens of eastern Utah submit letter to Utah's Attorney General on use of CIB funds for proposed coal transport facility in Oakland, CA. Living Rivers. 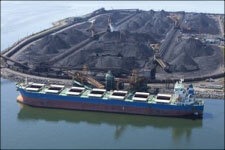 Groups write U.S. Attorney General asking for investigation of coal shipping terminal deal. Living Rivers.